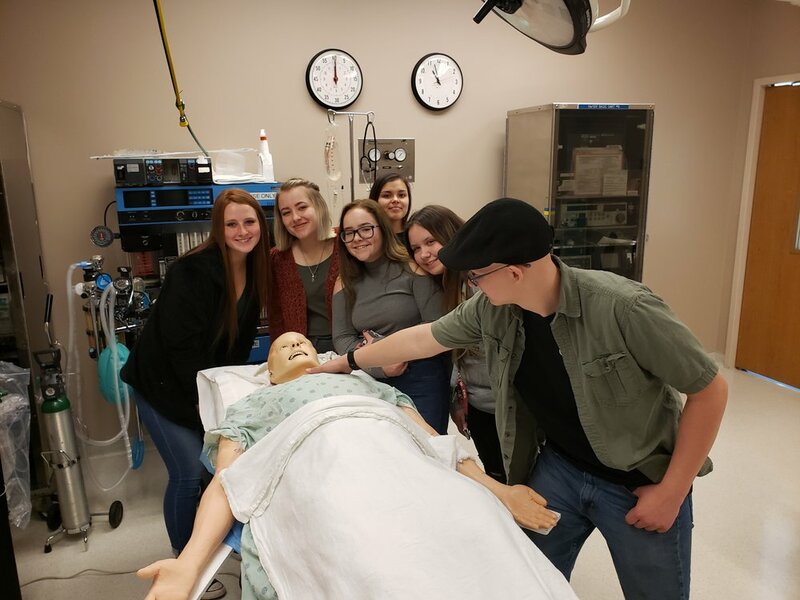 East Valley, West Valley, and Spokane Valley Tech biomedical science students attended an annual field trip to Sacred Heart Medical Center. 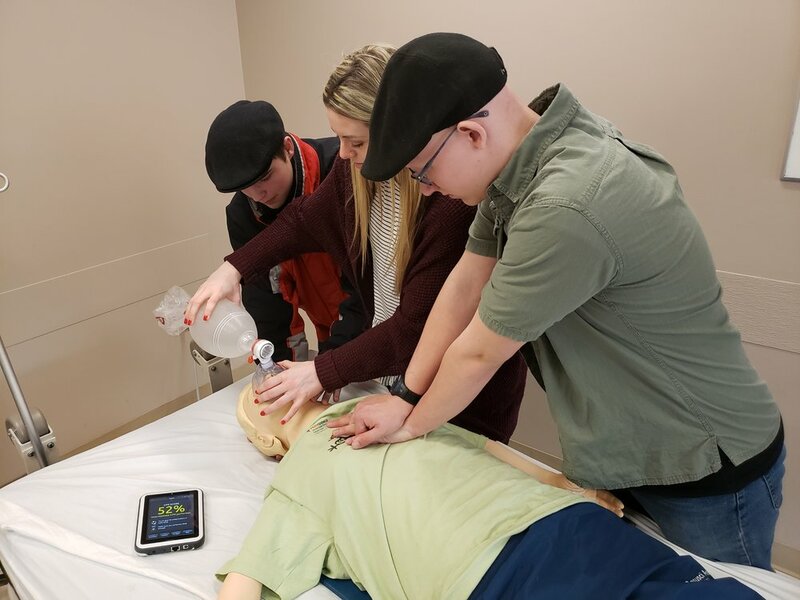 Students toured a state-of-the-art simulation lab where they performed CPR on adult and baby mannequins and were able to participate in several life-like health emergencies with a robotic mannequin. Students also learned about various healthcare careers and education requirements for all levels including direct employment out of high school, 2-year degree programs, and 4-year and beyond programs. One of the highlights of the field trip was touring the adult and pediatric Emergency Departments. Students also met the newest “employee” of the Sacred Heart Emergency Department, a de-escalation dog named Sarg.